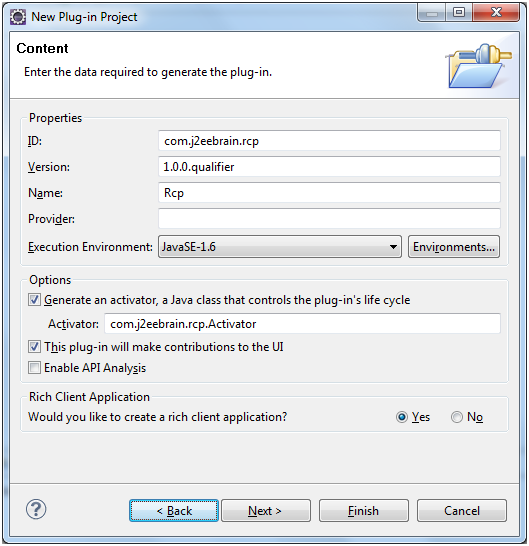 Extension points are nothing but dependent functionality basically from libraries and jars that are used by the plug-in. The details of these libraries and jars are normally in the plug-in.xml file. This file is placed in the root directory. Like any other configuration files this is loaded in the start of the application. 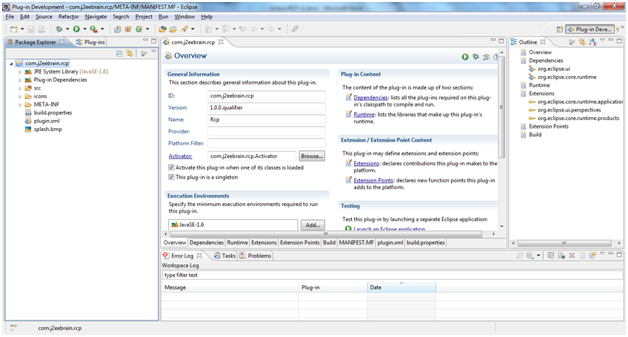 The IDE has a provision to edit the xml file with ease. 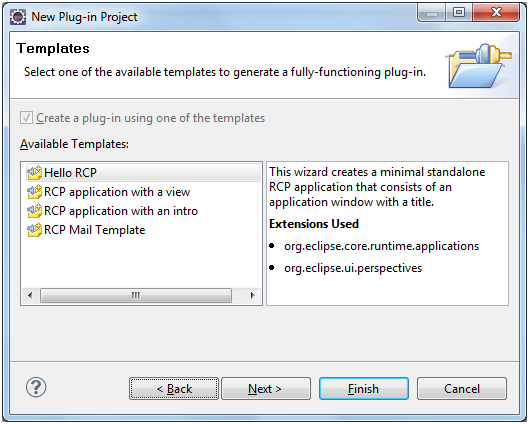 The Eclipse RCP application consists of View, WorkBench,Perspective, Workbench Advisor and the Main program. 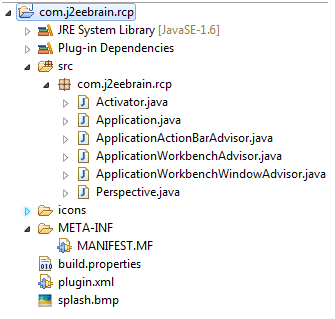 Like any other java program there need a main program to start the application. The main class needs to implement the interface IApplication. 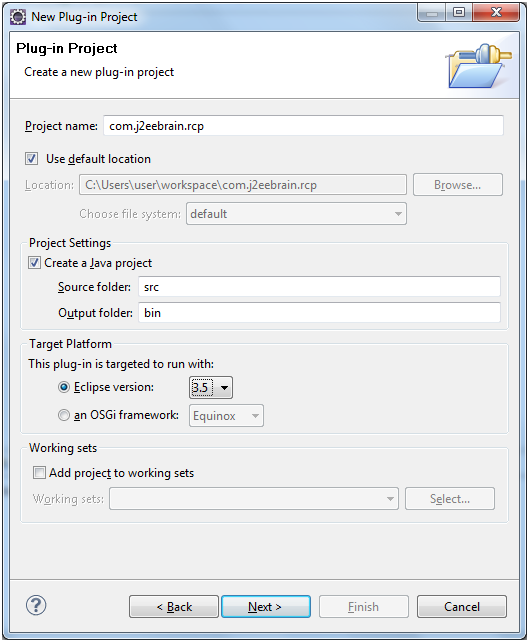 This package is used for running the application “org.eclipse.core.runtime.application”. Perspective is the one which defined the layout of the application. The package used is “org.eclipse.ui.perspective”. 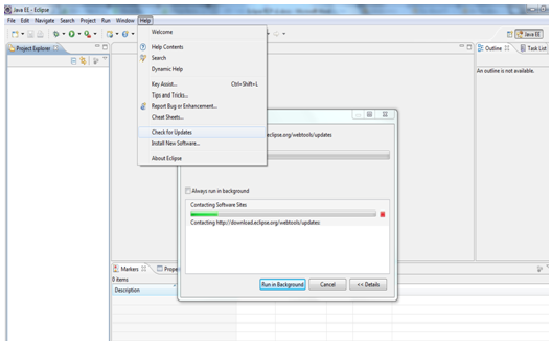 You can check for Updates for Eclipse as shown below and this can be selected to run in the background if your Eclipse version is bit out of date. 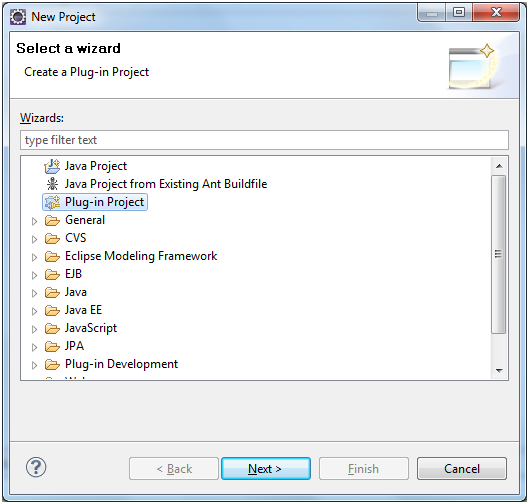 Go to File- > New Project and select the Plug-in Project. 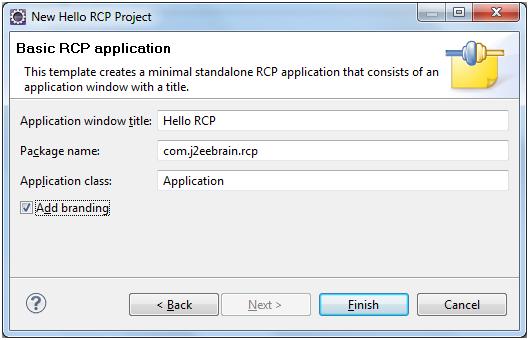 Give your plug-in the name “com.j2eebrain.rcp” . Click Next and select ’Yes ’ for the question ‘Would you like to create a rich client application?’ as we are planning to create one. If you are doing this for the first time, Eclipse IDE will ask whether you want to remember the perspective. You can select the ’Remember my decision’ and click the Yes button. After clicking the Finish button the project structure opens up in the perspective as shown below.There is an Overview window as well which shows what all are the property files created and other configuration files created. Click on the src folder and see what all files are created.